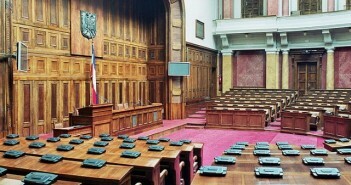 A Serbian opposition party has proposed law changes that would oblige parliament to take a vote on citizens’ initiatives, such as one calling for life in prison for child killers. 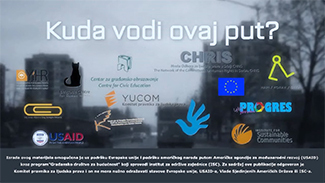 Serbia’s opposition Centrist Movement has proposed changes to the law on petitions, aiming to address a loophole that enables parliament to ignore citizens’ initiatives, such as one from the Tijana Juric Foundation, which seeks harsher penalties for killers of children. 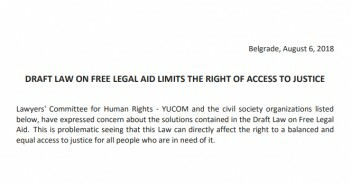 Lawyers’ Committee for Human Rights – YUCOM and the civil society organizations listed below, have expressed concern about the solutions contained in the Draft Law on Free Legal Aid. This is problematic seeing that this Law can directly affect the right to a balanced and equal access to justice for all people who are in need of it.